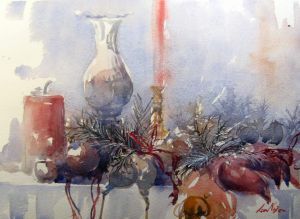 Here is the demonstration painting I did at Sunshine House this week. Back in my studio I completed it with a few sharp lines to represent the coniferous branches etc and a few extra shadow washes. 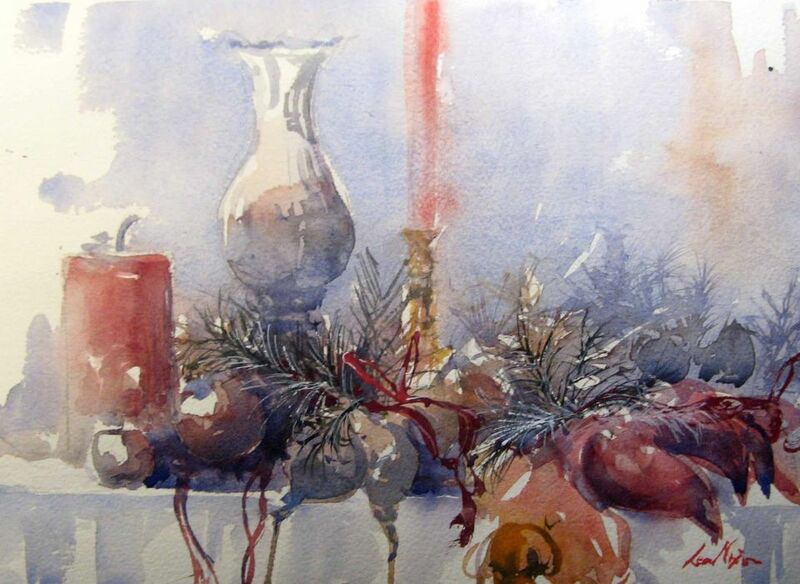 This entry was posted in Watercolour Paintings and tagged Christmas watercolour. Bookmark the permalink. Follow any comments here with the RSS feed for this post. Post a comment or leave a trackback: Trackback URL.